La Liga giants Barcelona were previously confident on having superstar Neymar for many more years to come, and his contract extension with them last season had given the board plenty of hope to see off advances from European rivals. However, the Catalans now find themselves in danger of losing the Brazilian skipper, despite the club being adamant to keep their star forward, as reports suggest that Paris Saint-Germain are on the verge of making a sensational swoop. According to a report in Spanish publication Sport (via Sun), the young attacker will not join be heading back to Barcelona for pre-season, and will instead go to France in order to finalise a staggering £195 million move after the Parisian’s pre-season tour of the United States. This development has surfaced after reports claimed that the player was unhappy at the Nou Camp, after having grown tired of living in the shadow of Argentine legend Lionel Messi. Speculations have run strong that PSG are determined to break the bank, and they believe Neymar’s addition will increase their brand value further. Moreover, they feel that the club would be ideal for the Brazilian, as he is looking to be recognised as the planet’s best footballer – something he won’t be able to achieve while playing second fiddle to Messi. 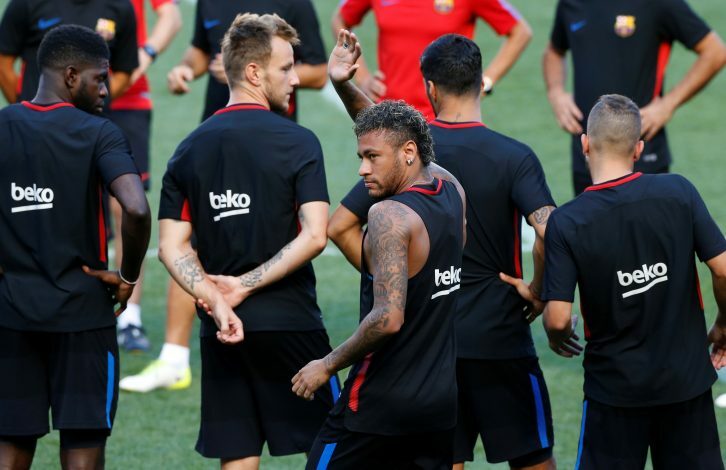 Neymar has been a pivotal figure at the club since his move to Barca, and he has forged a deadly combination with strike partners Luis Suarez and Messi. Therefore, it is clear from the Catalan’s point of view that they will try their best to not sell the superstar at any cost, as they look to reclaim the La Liga crown from arch-rivals Real Madrid.